Web Design encompasses many different skills and disciplines in the production and maintenance of websites. The term web design is normally used to describe the design process relating to the front-end (client side) design of a website including writing mark up. Web design partially overlaps web engineering in the broader scope of web development. Web designers are expected to have an awareness of usability and if their role involves creating mark up then they are also expected to be up to date with web accessibility guidelines. Website Multimedia refers to an electronically delivered combination of media including video, still images, audio, text in such a way that can be accessed interactively. Much of the content on the web today falls within this definition as understood by millions. Multimedia is usually recorded and played, displayed, or accessed by information content processing devices, such as computerized and electronic devices. 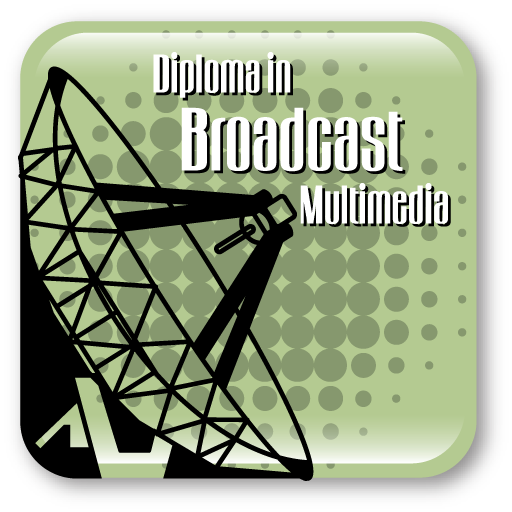 Multimedia finds its application in various areas including advertisements, art, education, entertainment, engineering, medicine, mathematics, business and scientific research applications. There are two primary jobs involved in creating a website: the web designer and web developer, who often work closely together on a website. The web designers are responsible for the visual aspect, which includes the layout, coloring and typography of a web page. The main responsibility of a Web Designer is to ensure that the website that they are creating is appealing to the desired target audience and catches their attention. Web Developers are expected to have an understanding of programming languages and coding to ensure that they can implement certain aspects of their design. 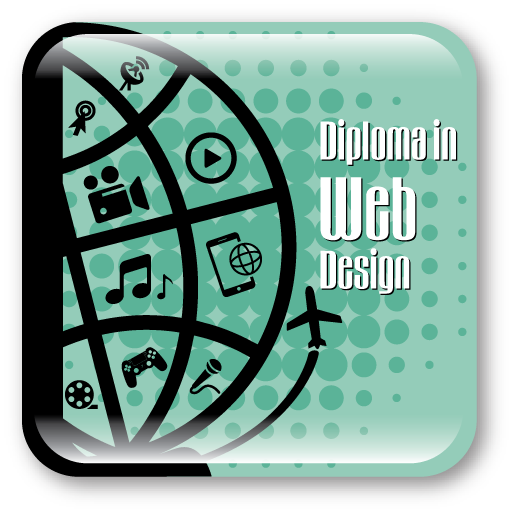 This course aims to give new web designers the skills needed to produce professional web sites learning the skills to use the latest software (Fireworks, Dreamweaver and Flash). The course takes the student step-by-step through the construction of a complete website from the very basics of Website design teaching the HTML language, to the uploading of the Website to your web space. You will enjoy the creative experience of developing multi-media web pages and also learn to use specialized products such as Adobe Flash CC and Adobe Dreamweaver, gradually building on the experience and ultimately designing and creating a high quality professional website on your own. Introduction to Cascading Style Sheets (CSS), and gain an understanding of how to implement CSS using Dreamweaver. Explore the basics behind how CSS works and how to use it to format, or style, your page text. In this lesson on structuring text, you will learn how to group blocks of text into elements like headings, paragraphs, and lists. Find out how to create, format and style standard tables. In this lesson, you will learn how to use Dreamweaver to insert and format images within your documents. Dreamweaver provides many ways to work with graphics, both within the program and in tandem with other graphics tools such as Adobe Fireworks and Adobe Photoshop. Well structured navigation elements are the backbone of every successful Web site. In this lesson how Dreamweaver handles many variations of links ranging from hyperlinks to e-mail links and does so with ease and flexibility. Dreamweaver creates sophisticated interactive effects with behaviors, data sets, and accordion panels using the Spry Framework for Ajax. Cascading Style Sheets are the core of Web design. In this lesson we are going to examine some Web design principles, explore page layout using CSS and get acquainted with Dreamweaver’s exceptional CSS tools that do the coding for us. In this lesson we will focus on the creation of form pages, their formatting, and their layout. Forms allow site visitors to input their information and send it to the Web server. For the Web server to use the data visitors enter, there must be a processing script on the server. Learn how to add Flash videos and movies to a web page with just a few easy steps. Dreamweaver’s productivity and site management capabilities are among its most useful features for a busy designer. In this lesson, learn to use Dreamweaver templates, Library items, and server side to work faster, make updating easier and be more productive. In Adobe Flash CC Professional, the Stage is where the action takes place, the Timeline organizes frames and layers and other panels let you edit and control your creation. 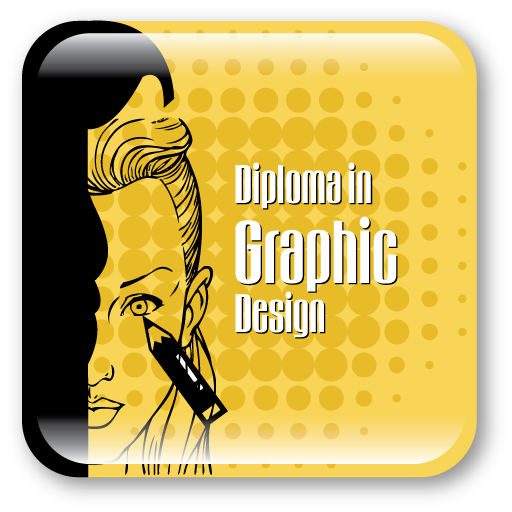 In this lesson you will learn how to use rectangles, ovals and lines to create interesting complex graphics and illustrations. Also, you will learn to edit their shapes and combine them with gradients, transparencies, text and filters for even greater possibilities. Symbols are reusable assets that are stored in your Library panel. Learning how to work with symbols is an essential step to creating any animation or interactivity. The movie clip, graphic and button symbols are three types of symbols that you will be creating and using often for special effects, animation and interactivity. Learn how to use Flash Professional to change almost any aspect of an object – position, color, transparency, size, rotation and more, over time. Motion tweening is the basic technique of creating animation with symbol instances. In this lesson, learn how to easily morph (create organic changes in shape), with shape tweens. Masks provide a way to selectively show only parts of a layer. Together, they allow you to add more sophisticated effects to your animations. As part of this lesson learning, let your viewers explore your project and become active participants. Button symbols and ActionScript work together to create engaging, user-driven, interactive experiences. Sound and video add new dimensions to your projects. In this lesson learn how to import sound files and edit them directly in Flash, and use the Adobe Media Encoder to compress and convert video files to use in Flash, or to export Flash animations as videos. In this lesson, learn how to use ActionScript to load external Flash content. By keeping Flash content modular, you’ll make your projects more manageable and easier to edit. Learn how to use ActionScript to control your graphics on the Stage while your movie is playing. Combine complex mouse interactions with variables to create interfaces that respond dynamically to your user for more immersive environments. By the end of this course, learn how to test and publish your completed Flash project, in a variety of formats for playback on different devices and environments – nearly everywhere with Flash Professional. In this lesson, you will get up to speed on the Adobe Fireworks CS6 interface. Creating a brand-new web page design and exploring the interface as we go. Adobe Fireworks includes a solid set of tools for creating and editing bitmap images for websites and mobile applications. Learn how to crop, manage, import and improve appearance for a bitmap using bitmap tools and live filters. Making selections on a bitmap image is the key to working with bitmaps regardless of the software application. Learn how bitmap selection isolates a specific area for alteration, protecting all other areas from being affected. You can draw almost any shape in Fireworks by using vectors. Learn how to use the Properties panel and sub selection tool to modify vectors you have created. Masking, combined with strokes, live filters, and gradient fills, is a key technique for creating and editing imagery without permanently affecting images. Fireworks lets you work with both bitmap and vector masks easily and seamlessly. Working with type can be a fun and creative part of your design. Learn the text formatting features normally found in desktop publishing applications, such as kerning, spacing, color, leading, and baseline shift. Learn how to edit text any time even after you apply Live Filter effects. Working with styles can improve productivity, because you can apply a series of preset effects for text, vectors, and, to some extent, even bitmap images. Learn how to save a style and use it as often as you want without having to rebuild or match the complex effect from scratch. Symbols can contain multiple objects within a single asset while still giving you quick access to editing those objects. They are a great option for reusing common graphical elements, such as logos and buttons in a design. Proper optimization minimizes quality loss while reducing file size, thus cutting download times for images. In previous lessons you learned the basics of working with graphics in Fireworks. Now you will combine those skills with some new tools to optimize assets for web pages and web-page creation. Learn how layout features (Smart Guides and tooltips), new symbol libraries, and the ability to switch seamlessly from vector to bitmap graphic editing make Fireworks an ideal application for building prototypes. Fireworks is an excellent graphics editor but it is not designed to be an HTML5 web-page editor you can find all the tools you need to build a realistic, dynamic prototype to whet your client’s appetite. This lesson focuses on prototyping and use slices for visual effects such as rollovers and other interactivity. Firework has full ways to save you time from batch processing and custom automation of tasks to built-in features and integration with Adobe Bridge. You will find many ways to speed up your project workflow without cutting corners. Fireworks CS6 does not stop at creating graphics and prototypes. New in CS6 is the ability to skin (create a visual look and feel) for a jQuery mobile site. In this lesson, you will learn how to create a theme for a jQuery Mobile site and customize and edit a jQuery design in Dreamweaver. This course introduces web designers to the nuts and bolts of HTML (HyperText Markup Language), the programming language used to create web pages. Get started by Learn to create your first HTML document – the basic template for future pages, What HTML is, how it’s structured, and learn the major tags and features of the language. In this chapter, you learn the key concept to create a web page and how to give it structure. Understand how a web page describes its structure to a web browser. You also learn the meaning of key terms used by web designers, such as elements, attributes, tags, and markup. Beyond the basic structural elements outlined in previous lesson, you get to learn how to use a wide range of elements to mark up your text. By the end of this lesson, you’ll have a hang of all the elements you might need to mark up almost any kind of content. In this chapter, you learn how to link between pages of a website, link to other sites, how to structure folders in a site and how to link to specific parts of a page in a site. In this chapter you learn, how to add images to a web page, what are the different types of image formats & where to use each of those and how to add audio and video to your web pages. Also, you learn all about the ‘video’, ‘audio’ and ‘object’ elements. The objective of this lesson is to learn about tables and how they are used in HTML. Also you get to learn about basic table elements and attributes and get to create accessible tables. Almost every time you want to collect information from a visitor to your site, you need to use a form. Hence in this lesson, you learn to create a form, to use different types of form controls, what happens to the data a user enters, how to make forms accessible and how to structure the content of forms. In this chapter, you learn how to use CSS to take control of the style of your pages, including the color and size of fonts, the width and color of lines, and the amount of space between items on the page. In this chapter, you continue to learn how to use CSS to control the presentation of HTML web pages, starting with CSS properties that enable you to control the presentation of links, backgrounds, list styles, table styles, and outlines around boxes. You then learn a technique to add content to a page using ‘:before’ and ‘:after’ pseudo-classes. Finally, you learn how to use CSS to position boxes on the page, which enables you to create attractive layouts for your pages. In this chapter, you learn about the latest version of the CSS specification, CSS3. Unlike previous versions of the specification, CSS3 consists of smaller specifications that focus on particular areas of interest. These are called modules. CSS3 significantly increases the power of CSS. This final chapter contains checklists on some helpful topics and you get to learn about Search Engine Optimization (SEO) and Accessibility.